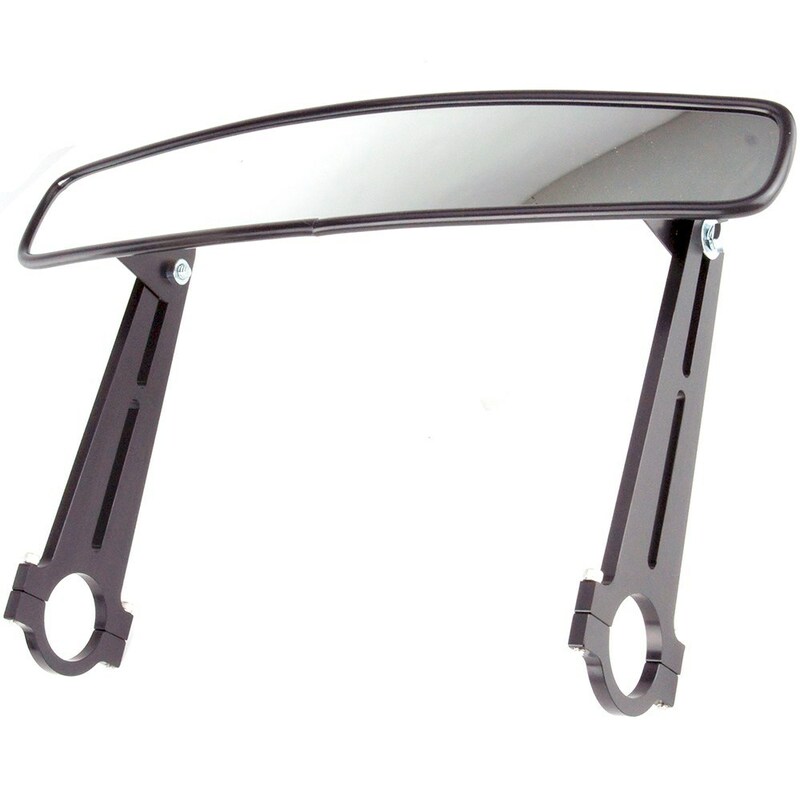 This very wide-angle mirror is designed to clamp to the front bar of your roll cage. Multi-adjustable for height and angle. The curved glass mirror head is a massive 350mm wide x 70mm high. by tightening the stainless cap-head screws. otherwise the glass could break. NOTE: Also available for 45mm (1.75") diameter roll cage tube. Ideal for ducting air to air filters or brakes.